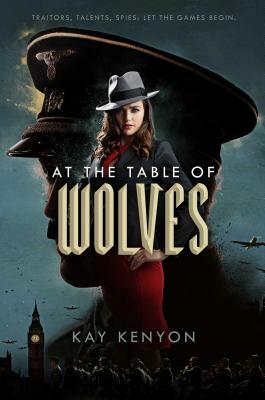 Kay Kenyon’s At the Table of Wolves is everything you like in WWII spy thrillers – louche British aristocrats of dubious loyalty, charming but diabolical Nazis hiding dreadful plots against England, a wonderfully strong, intelligent heroine pressed to her limit to save the day – but with psychic powers thrown into the mix. Kim Tavistock has the power to get people to confess their deepest secrets without intending or realizing it. She is up against a Nazi spy with hidden talents of his own, working in league with a mole at the heart of British intelligence. Will Kim discover their deadly secrets before the Nazi plots bring England to her knees? Read At the Table of Wolves to find out! A fun, fast read. Highly recommended!